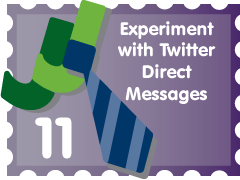 On Sunday April 19th, 2009, I started an experiment with the Twitter direct message feature to try and get more traffic and feedback on JuniorBiz.com. I also completed numerous other tasks in the JuniorBiz Project Charter this week, but the majority of this post will focus on the implementation and results of my Twitter experiment. Since the Official JuniorBiz Lawn Mowing Guide is written and published, I have designed tasks under this objective with the intention to market and promote the guide. 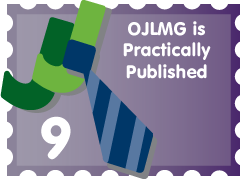 Early last week the OJLMG was finally posted on Amazon.com and is at the top of the list when you search “lawn mowing guide.” Additionally I sent the eBook version to Ben, owner of teenlawncare.com, so he could read it and review it on his site. Increasing traffic to JuniorBiz.com is the second objective. My primary task for this objective was to post a comment on an influential blog with a link to JuniorBiz.com. So I found an interesting and relative article, “Cupcakes and Cattle Breeding: Teens Turn to Summer Start-Ups,” on The Wall Street Journal’s website. I left a comment at the end of the article with a link back to my site. So WSJ.com officially links to JuniorBiz.com. Getting back to my Twitter experiment, the third object is to boost my online presence. So at the beginning of the week I created an automatic direct message that every new follower of mine will receive. Typically these auto-messages say something like, “Thanks for the follow, looking forward to your tweets.” To me a message like this is pointless and just another thing I have to spend precious seconds deleting. The goal of this message is to initially get people to click on the link and hopefully get them to send me their opinions about my site. When they do, I’ll compensate them with a link of their choice – to their Twitter account or website. It’s a win-win and I should get to talk to some interesting people in the process. AlanDonegan @JuniorBiz Very coolarticle, Thanks for sharing. This is exactly what I am promoting in England! What do you do in the US? HopeHeals @JuniorBiz Hey Nick…you’re doin’ great things! Keep it up and thanks so much for following us! HandymanConnect @juniorbiz is an interesting business model; helping young people run a business with the things they do anyway; mow lawns, babysit, etc. In addition to the comments, JuniorBiz.com also experienced a 215% increase in traffic from Twitter.com when comparing last week (April 19-25) to the average of the previous 5 weeks (March 15 – April 18). Overall, this Twitter direct message marketing campaign has been going great! I’ve gotten more traffic, great feedback and have met interesting people that I otherwise may not have met. I also eclipsed 1000 followers last week. I wrote 2 new articles last week. Thus far, “Venture Adventure Results and Outcome – JJ Entry #10” has received 113 hits and “10 Things My Entrepreneurship Professor Has Learned” has received 122 hits. The second article has only been up for 3 days. As far as expanding local awareness for JuniorBiz, I spent a lot of time writing and sending emails. Venture Adventure was the previous weekend and I met quite a few interesting people that I wanted to follow-up with. So I did, and it took a long time, but it was worth it. As most young entrepreneurs will find, networking is just as important as anything else when starting a new business.. Earlier this spring JuniorBiz, LLC was chosen as 1 of the 16 teams (out of over 30 teams that applied) to participate in the 9th annual Venture Adventure Business Plan Competition. No CSU team had ever won and I was sure I was going to be the first… but I didn’t even make it out of the first round. Why was losing a good experience for me? As of the end of week 8, I am two-thirds of the way through the JuniorBiz Project Charter. Last week was also supposed to include the second and final milestone of this semester; to publish and post for sale the Official JuniorBiz Lawn Mowing Guide. Due to some publishing setbacks, this milestone has been postponed for a few days. Accomplishing the milestone a couple days late isn’t a big deal, considering this was planned out 8 weeks ago. I should still have my proof for the competition later this week. This JJ Entry is coming a little late this week, and for that I am sorry. Week 7 of the Project Charter was chock-full of deadlines that couldn’t be pushed back as easily as my weekly JJ update. Overall, there was lots of editing and little Internet marketing. Also, I saved over $250 by pulling a few strings and doing a little bootstrapping.